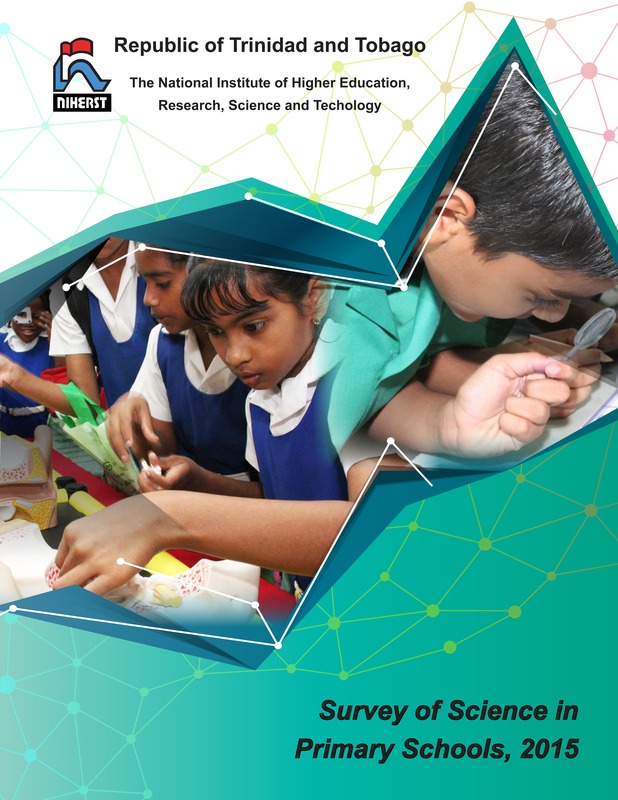 In this publication, the National Institute of Higher Education, Research, Science and Technology (NIHERST) presents the results of the Survey of Science in Primary Schools, 2015. This survey is the second of its kind to be conducted by NIHERST as a similar study was undertaken in 2003. This undertaking was designed to provide empirical data on the teaching of science in primary schools and has generated essential indicators for comparison with similar studies. The Survey of Science in Primary Schools, 2015 was a two-part enquiry of principals and of teachers in Standards 1 to 5 in each of the selected government, government-assisted and private primary schools. The major objectives of this study were to compile data on the profile of primary school principals and teachers including teachers’ training needs and difficulties encountered in teaching science. The adequacy and availability of school infrastructure and support systems available for the teaching of primary school science were also addressed in the enquiry. This included access to science education workshops, resource personnel, teaching and assessment methods, equipment and professional literature. Primary education in science is essential to the total development of the student in the formative years of learning. A supporting environment and adequately qualified and trained teaching personnel are essential for students’ participation and sustained interest in science. This publication should engage the attention of researchers, decision-makers, educators and stakeholders in general. Of the sample of primary schools surveyed, the male to female ratio of principals for all schools was 1:2.8. In terms of age distribution the largest percentage (50%) of principals was observed in the 50 and over age group, followed by 45% in the 40 - 49 age cohort and 4% in the 30 - 39 age group. A significant percentage (81%) of the principals had an O Level/CSEC pass in Mathematics. Only a small percentage (8%) of principals had acquired an O Level/CSEC pass in Computer Science. A half (50%) of all principals had obtained an O Level/CSEC pass in Biology. Thirty-one percent (31%) of the principals had an O Level/CSEC pass in Chemistry. Approximately one-fifth (21%) of the principals surveyed had an O Level/CSEC pass in Physics. Integrated Science recorded a significantly lower certification rate (6%) compared to Biology, Chemistry and Physics. A substantial percentage (61%) of the principals surveyed had obtained an O Level/CSEC pass in at least one of the natural sciences (Biology, Chemistry, Physics and Integrated Science). Approximately one-third (32%) of all principals had obtained an O Level/CSEC pass in Human and Social Biology. A comparison of the results of the survey with a similar study conducted in 2003 reveals that the percentage of principals with passes in all the selected O Level/CSEC subjects increased substantially over the 12 year period except Human and Social Biology which remained constant. Overall, a small percentage of primary school principals had obtained A Level passes in Mathematics, Computer Science and the Natural Sciences. A significant majority (91%) of principals who participated in the survey reported a university degree as their highest level of educational attainment. Over a half (57%) of the principals surveyed reported the B.Ed. degree as their highest level of professional qualification while 28% and 10% had a M.Ed. degree and Teacher's Diploma respectively. Compared to the study undertaken in 2003, the data show an increase in the highest level of professional training obtained by principals with a decline in teacher's diploma from 63% in 2003 to 10% in 2015 and an increase in B.Ed. and M.Ed. degrees from 20% to 57% and 6% to 28%, respectively. Twenty-two percent (22%) of the sample of primary schools surveyed had science rooms and 78% had none. Of the 53 or 22% of schools with a science room, 23% were reported to be well-equipped while 74% were not. A substantial percentage (59%) of primary schools surveyed experienced an inadequate supply of science materials. A comparison of the results of the surveys undertaken in 2015 and 2003 shows that the percentage of schools with adequate science materials increased by 28%, from 10% in 2003 to 38% in 2015. An examination of science materials needed by type of school shows that two-thirds (65%) of the principals, especially from government schools (82%), indicated that their school needed measuring instruments which included mainly beakers, cylinders, scales and tapes. A quarter (26%) of the principals indicated thermometers while one-fifth stated science equipment in general (19%), science models (19%) and science labs (19%). Of the responding 246 schools, 200 or 81% had computers of which 85% had access to the Internet. Over the period 2003 to 2015, the percentage of primary schools with computers declined from 92% in 2003 to 81% in 2015. However, there was a significant increase in Internet access from 14% in 2003 to 85% in 2015. A significant proportion of all primary schools was supplied with a television set (94%), photocopier (87%), CD player (82%), projector (81%) and library (69%). A little over one-third of the schools had a digital camcorder (36%) and video recorder (35%). A negligible 4% had SMART boards. Of the sample of 1169 primary school teachers, 24% were males and 75% were females, representing a male to female ratio of 1:3.1. The largest percentage (37%) of teachers was observed in the 40 - 49 age group, followed by 30% in the 30 - 39 age cohort. A significant majority (92%) of the teachers surveyed had an O Level/CSEC pass in Mathematics. Only 10% of primary school teachers had obtained an O Level/CSEC pass in Computer Science. A substantial percentage (46%) of teachers had acquired O Level/CSEC certification in Biology. Twenty-nine percent (29%) of all teachers who responded to the survey had an O Level/CSEC pass in Chemistry. Less than twenty percent (17%) of the teachers had acquired an O Level/CSEC pass in Physics. Seventeen percent (17%) of the teachers had obtained an O Level/CSEC pass in Integrated Science. Overall, a substantial percentage (64%) of teachers who participated in the survey had an O Level/CSEC pass in at least one of the sciences. Two-fifths (40%) of the teachers had obtained an O Level/CSEC pass in Human and Social Biology. A comparison of the results of the survey with the 2003 survey results reveals an increase in the percentage of teachers with an O Level/CSEC pass in Mathematics, Computer Science and Integrated Science. There were marginal declines in the percentage of teachers with an O Level/CSEC pass in Biology and Physics over the period 2003 - 2015, while Chemistry remained unchanged. Overall, less than 10% of the teachers had an A Level pass in Mathematics or the science subjects. The majority (68%) of teachers surveyed reported a university degree as their highest level of educational attainment while 27% had a diploma. Over a half (52%) of the teachers who participated in the survey reported the B.Ed. degree as their highest level of professional qualification while one-third (32%) had a Teacher's Diploma. Compared to the study undertaken in 2003 the data show an increase in the highest level of professional training obtained by teachers during the period 2003 - 2015. The percentage of teachers with a B.Ed. degree increased from 7% in 2003 to 52% in 2015 while teachers with a Teacher's Diploma decreased from 73% in 2003 to 32% in 2015. Additionally, 7% of the teachers reported a M.Ed. degree in 2015 compared to 0% in 2003. Approximately one-third (34%) of the sample of teachers reported service of 10 - 19 years while 27% indicated teaching experience of 20 - 29 years. Over a fifth (22%) of primary school teachers recorded less than 10 years of service. Overall, the majority (66%) of the teachers indicated that the science textbooks were adequate while one-third (33%) disagreed. On the issue of improvement of science texts a substantial percentage (73%) of teachers stated that recommended texts should include more activities/assessment exercises while 47% indicated that texts should be in agreement with the syllabus. A quarter (26%) and one-fifth (21%) of the teachers also suggested that the required texts should contain better quality illustrations/print and graded approach in terms of age group/ability, respectively. The most frequently used method of teaching was traditional chalk and talk followed by experimentation and engaging students in research and presentation of a topic. The least popular method of teaching was field trips which over a half (52%) of the teachers indicated they never used. Teachers were asked to rate the effectiveness of various methods of teaching in helping their students to understand science. Experiments and demonstrations performed by students (88%) and teachers (71%) were identified as the most effective in providing assistance in understanding science. One-third (33%) of the teachers stated that examples in textbook were least effective. A significant majority of teachers (90%) indicated that they conducted experiments in classrooms and 31% conducted them outdoors. Less than ten percent (9%) of the teachers conducted experiments in laboratories while 4% identified other locations, mainly kitchen and library. Overall, and by educational district, type of school and standard, the sample of primary school teachers stated that Structure and mechanisms (40%) was the most difficult strand to teach in the science syllabus followed by Earth and space (21%) and Energy (12%). A substantial percentage (69%) of teachers stated that science was easy to teach while one-quarter (26%) experienced difficulty. A substantial percentage of teachers stated that it was important that assistance be provided in: methods of teaching science to the primary school age group (52%), use of simple resources in performing science experiments (46%) and improvement in instructional skills (46%). Additionally, a relatively large proportion (36%) of teachers indicated that it was important for them to obtain assistance in explanation of scientific principles and concepts. The majority (60%) of teachers surveyed were familiar with the NIHERST/NGC National Science Centre and a substantial percentage was familiar with BG Science Bus (40%) and educational programmes of NGOs (e.g. Wildfowl Trust, Asa Wright Nature Centre) (36%). Approximately three-fifths (59%) of the teachers accessed the NIHERST/NGC National Science Centre and over a third accessed educational programmes of NGOs (38%) and BG Science Bus (35%). Two-fifths (40%) of the teachers who participated in the survey attended science workshops. Of the teachers who attended science workshops, 43% attended one workshop in the last 5 years while 19% attended two. One-fifth (21%) of the teachers who attended science workshops did not attend any science workshop in the last five years. Two-thirds (67%) of the teachers who attended science workshops indicated that the workshop provided content knowledge and over a half (52%) benefitted from exposure to new teaching techniques. A substantial percentage (47%) stated that by attending science workshops they benefitted from exposure to alternative forms of assessment. Approximately a quarter (24%) of the schools held update sessions/reports for the benefit of those who did not attend workshops while 36% did not. One-third (33%) of the teachers did not know if such sessions were held. Lack of materials (67%) was identified as the main problem teachers encountered when applying the content of science workshops followed by no place to conduct experiments successfully (57%) and lack of time (56%). A significant majority (91%) of the teachers who attended science workshops stated that they did not encounter the problem of the topics not being applicable to the syllabus. Teachers were divided on the frequency of workshops; 38% and 35% indicated that workshops should be held at least once a year and once a term respectively while a quarter (24%), especially in government schools in Victoria (40%), stated they should be held as the syllabus changes.